Halloween is my FAVORITE holiday. Halloween is my Christmas. 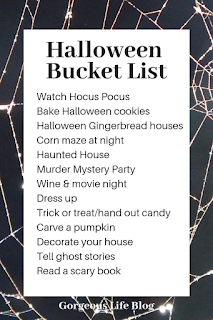 I love all things spooky, I love costumes, I love watching scary movies, and I love doing things with my kids and my friends! 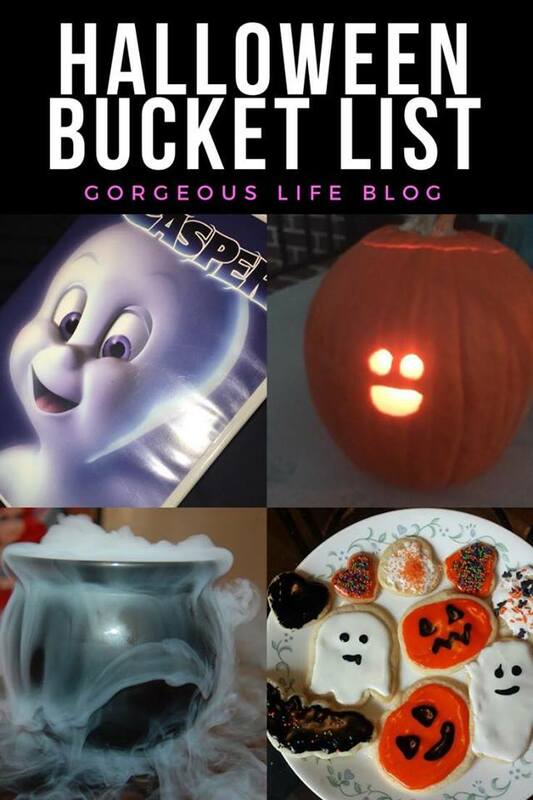 I decided to write a post full of my favorite ideas for Halloween activities. These are good for everyone. Let me know which ideas are your favorite!! I just watched Annabelle Creation the other night with my husband. But my favorite Halloween Movie is Amityville Horror. I also love The conjuring, The exorcist, and I also love the cheesy movies like Jennifer’s Body, House of Wax, When a Stranger Calls. But at my house we’ve mostly been watching the classic family Halloween movies. Casper, Halloweentown, Hocus Pocus, Monster House, Twitches, The Great Pumpkin, Hotel Transylvania, etc. 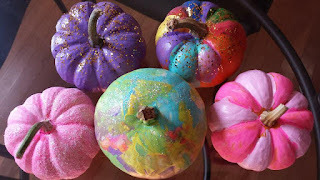 Bake and decorate Halloween cookies. I love doing this with my kids. 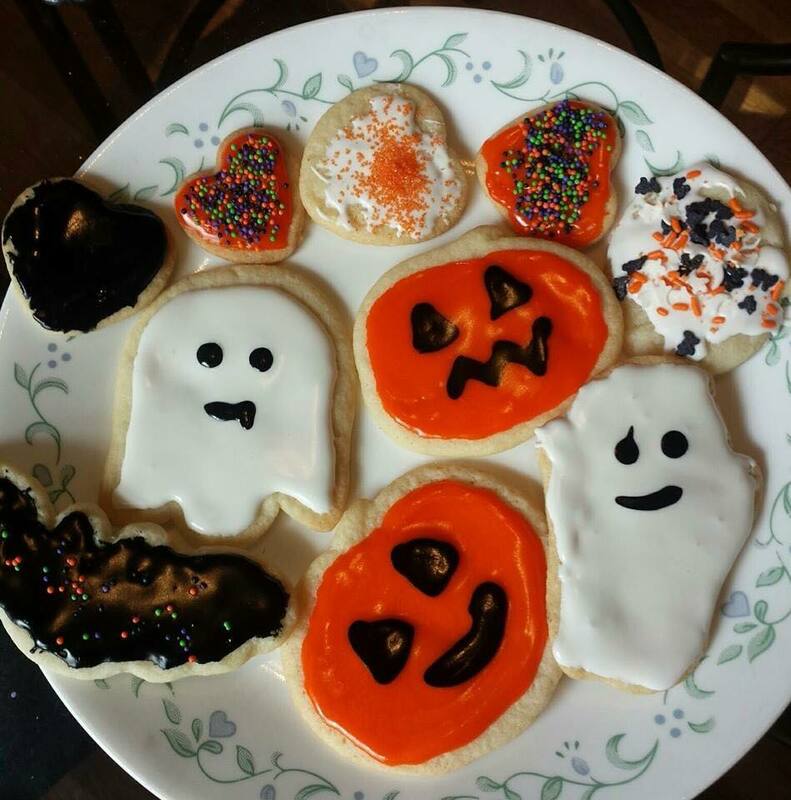 One year, we made Halloween cookies and had the best time! We made ghosts and pumpkins and bats and it was the best thing in the world. The best thing about this is that when you are a mom you are always looking for things to keep your kids occupied. This is one of them. They decorated all of their cookies and they put so much effort in it. Occupied them for about an hour. My kids love doing gingerbread projects for Christmas, but I found some Halloween gingerbread houses at target for under $3 each. So of course I picked them up and we are going to make them today! It’s such a fun project that is super inexpensive! I’ve done a corn maze once. Can I say that it was actually pretty exhausting. We did the smaller maze with the kids and it was only like 3 minutes, which isn’t long at all, but it’s the fact that you are literally lost in a maze that makes it more draining on your mind. So this year I really want to do a corn maze at night. I’ve never done it before but now my kids are older so I want to give them glo-sticks and flashlights and we will be on our way. It’s been a loooong time since I’ve done a haunted house. When I did it was a super fun and festive experience. The volunteers were so into it and their costumes were awesome. I would love to do it again this year. It depends if we would have a sitter for the kids because my youngest absolutely can’t handle it. 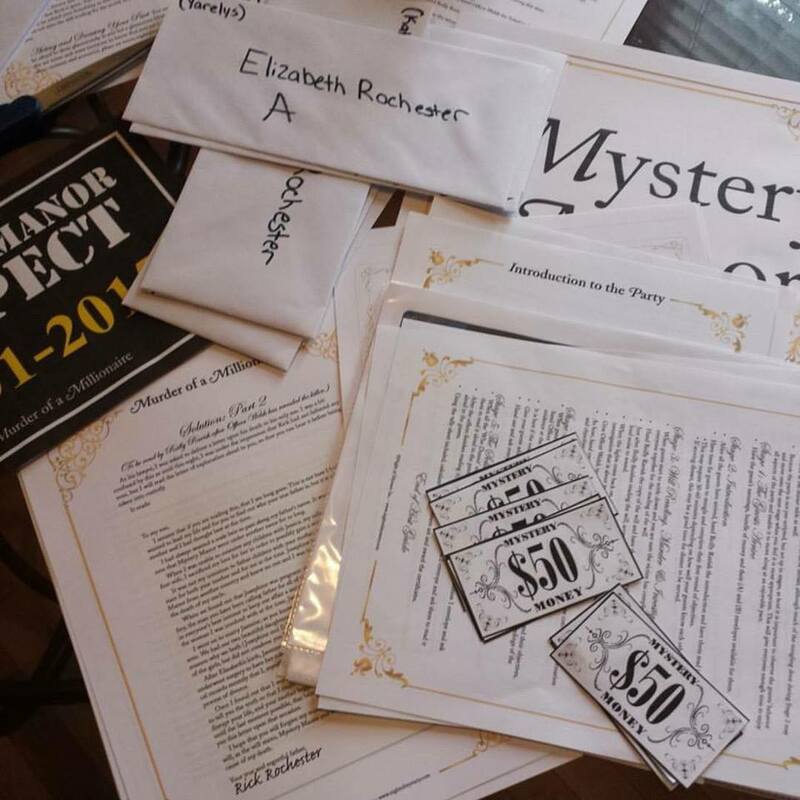 3 Years ago, my best friends and I got together and planned a murder mystery dinner party. You guys, it was SO MUCH FUN! It was nice doing something for the parents for once, since our lives have revolved around our kids since they were born. But being in costume, taking on an alias and having to play a character for the night was really fun! I promise you that if you decided to throw a party like this, it will go down in the books as one of the best. 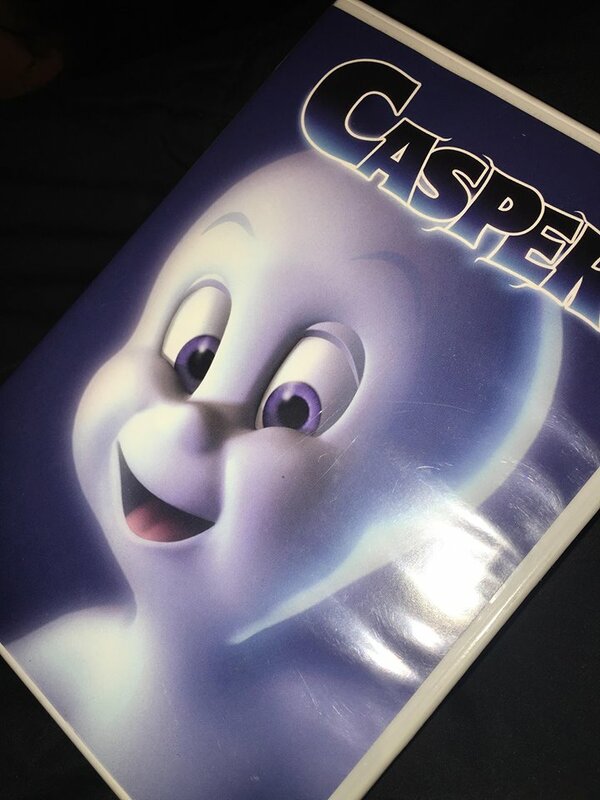 Get together with your girlfriends and pop in the scariest movie you can find. 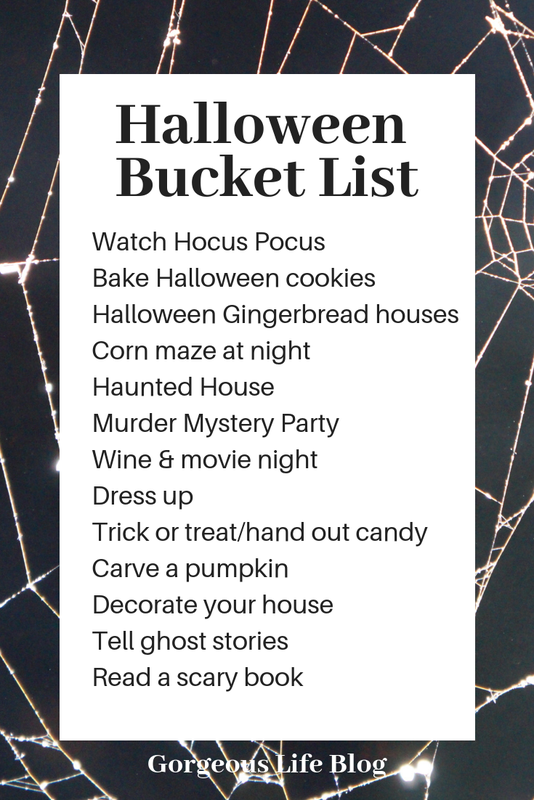 Add some wine and cheese, and you’ve got an awesome Halloween movie night. This is a must. You have to dress up for Halloween! 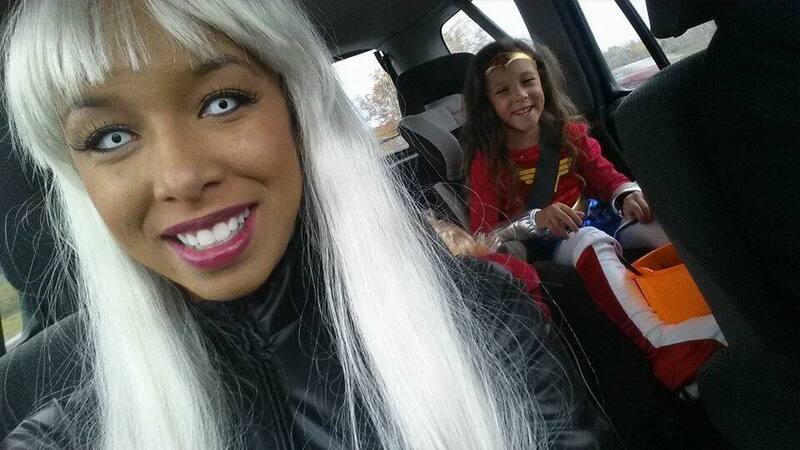 Even if it a super simple costume, don’t miss out on the costume fun. There was one year that I really dressed up. I was Storm from Xmen and it was SO much fun! A lot of work went into the costume though. I had to get a catsuit and then get it tailored to fit me perfectly, I had to wear a super long wig, and I had to wear colored contacts which were slightly uncomfortable. That being said, It was the best costume ever. When I went trick or treating with the kids, all the parents knew who I was. My white contacts scared the crap out of a lot of kids, even the very kids that I had babysat in the past didn’t want anything to do with me! But that’s how you know you have a killer costume. It was tons of fun. If you have kids, definitely take them trick or treating. My girls have SO much fun every year doing this. It is hands down one of my favorite nights of the year. 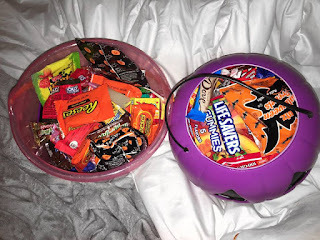 If you don’t want to wait until Halloween night to trick or treat, keep an eye out in your town for trunk or treats too! Well DUH. 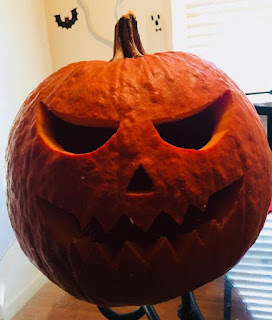 Even if you carve a fake pumpkin, make sure you carve one. Can I admit something? I’ve never carved one. My husband always does it! But I love watching him do it with the kids. My husband carved this pumpkin for us the other day and I love it! Even though I’ve never carved a pumpkin, I have painted pumpkins with the kids. It’s what I’ve done with my kids since they were little and it’s always a fun tradition. Remember doing this as a kid? I remember going to summer camp or having a sleep over with my friends and we used to tell scary stories. 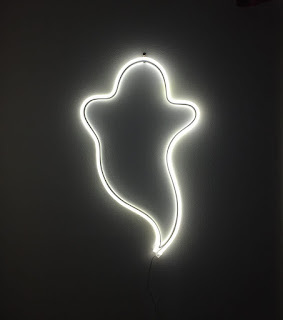 I used to get pretty scared back then which is so funny, but those are memories that I will never forget. If your kids are older and can handle it, tell them a scary story or two! 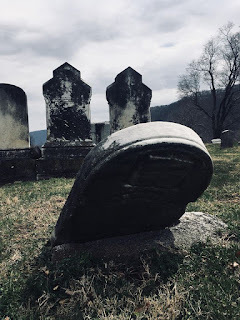 One of my favorite stories from childhood happens to be The Legend of Sleepy Hollow. Can I just admit that I have a weird thing for headless horsemen. I think they are the coolest, creepiest things ever. I found the book at the used bookstore and got it for $2. I’m reading it to the kids next week! Last year the kids and I experimented with dry ice and it was so much fun. We made these potions with different colored glitter and some different colored water. We got the little cauldron from target for only 3 bucks. 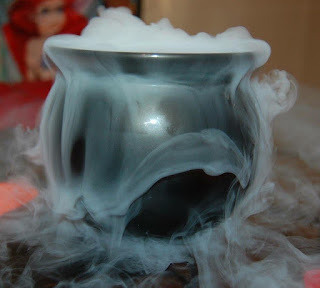 Then we filled it with warm water, dropped in some dry ice and it creates an awesome smoke effect! Then the kids took turns dropping different colored glitter in the water making potions. Tons of fun, kept them occupied forever. Is there anything that I left out?? Let me know! Have a sweet and spooky Halloween! Share this post if you loved it!